No Australia Trip is complete without a road trip. Yes, there is nothing really like exploring the Land Down Under by driving yourself. From coastal landscapes and lush forests of Northern Australia, to the soft hills of the Southern regions and the red rugged Outback plains of the inland, Australia’s varied and vast landscapes offers so many options for road trips. But what about road tripping on your own? It may sound daunting, but a solo road trip is an exhilarating and rewarding experience that consolidates your solo adventures. No Australia trip is complete without a road trip! So let me introduce you to five of my favourite Australian road trips. Let’s bust the myth you shouldn’t visit the Red Centre on your own; this is absolutely not true. 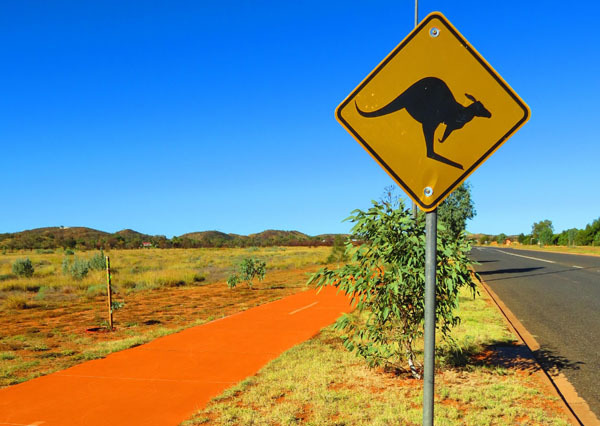 The road trip from Alice Springs to Uluru is an easy Outback road trip, and the direct route stretches over 450 km on sealed roads taking about five-six hours to get there. I would recommend going first to Kings Canyon to do the 4 hours Rim Walk, and then head south west to Uluru. The 300km detour is really worth it. Make sure you stop often, every 100 km, for a break. Along your way there are petrol stations, where you can fill up the car, drink a cuppa, and stretch your legs. Fuel stations on route to Uluru. Plan two days and two nights for Kings Canyon and the same time for Uluru. Four days will allow you to do all the main walks and see Uluru and Katia Tjuta at sunset and at sunrise. Drive back in a loop to Alice Springs or drop off the car at Ayers Rock Airport and leave for your next adventure. The best time for a road trip to Uluru is April-October. Avoid driving in the hottest months, from Dec-Feb with temp around 45°C. This is a great road trip for nature and wildlife lovers. Kangaroo Island, off the coast of Cape Jervish in South Australia offers magnificent coastline, sandy secluded beaches, beautiful hikes and great food. The island is known for Seal Bay, where you can get close to sea lions and learn about these wonderful creatures. All over the island you can see kangaroos, koalas perched on trees, and myriads of native birds as well as spectacular rock formations. I spent three days touring the island. I started from Penneshaw along the south eastern coast to the Flinders Chase National Park, and back along the inland highway through Kingston. For a round trip plan three nights and three days. For more activities like horseriding, sandboarding, kayaking, food tours extend your road trip to five-seven days. If food and wine is the focus of your travels, then a road trip to Margaret River is the right road trip. 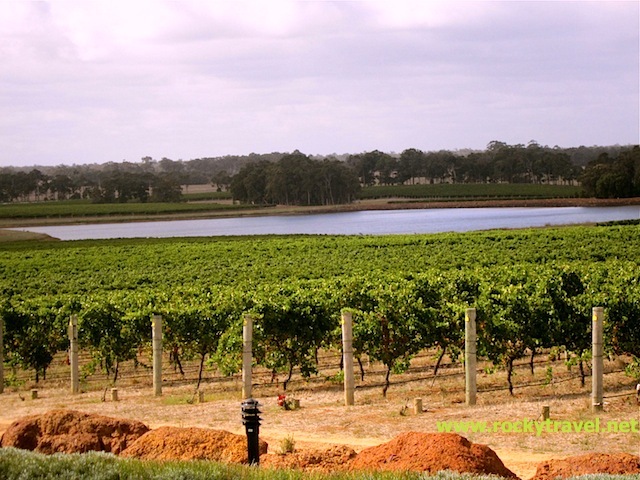 Located 300 km south west of Perth, the Margaret River region is nestled on the most south westerly point of Western Australia. It stretches for about 100km between Busselton and Augusta, covering a pristine, varied landscapes from water shaped rugged cliffs and coastal heathland to gentle hills of the inland to the fascinating Boranup Forest with the giant Karri Trees. This area is not only famous for premium wines and excellent organic food, it offers a variety of great events and outdoor activities throughout the year that is hard to beat. While Margaret River is known for the best surfing spot in Western Australia, it is a great place for hiking (Cape to Cape Track) and mountain biking. Plan at least four days to ideally one week. A road trip to the iconic G.O.R. 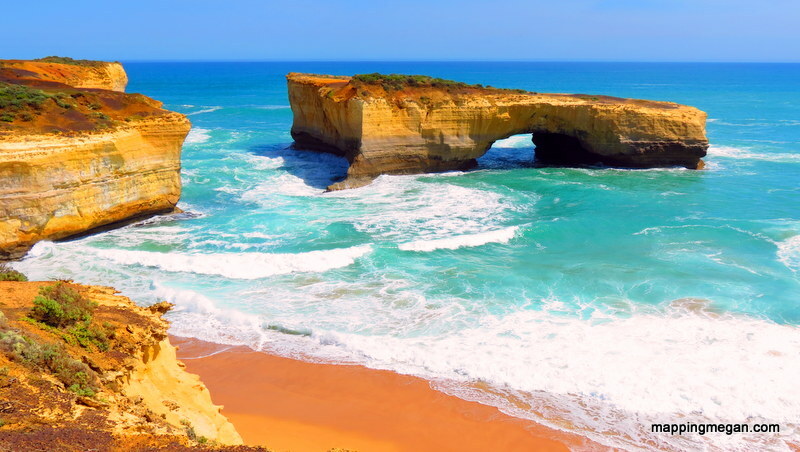 The top classic road trip in Australia, the Great Ocean Road is a must if you are in Melbourne and want to explore this beautiful coastal drive of Australia. I loved it and could do it again. Next to its natural landmarks, it’s a great road trip for spotting wildlife. The trip is on sealed roads, however it can be demanding, when travelling solo, due to the many bends and turns. Make sure you stop often along your way to complete the 300km drive to the 12 Apostels. Plan at least three days and two nights. I’d suggest driving back to Melbourne by taking a detour to the Grampians, in the inland. The road trip to Wilson Promontory is a great way to discover the most easterly point of the Australia’s mainland. I call it a “taste of Tasmania”, as it does remind me of the Tasmanian landscape. The two hour road trip from Melbourne is an easy and smooth drive. Stop at Philip Island for one day to explore the island. 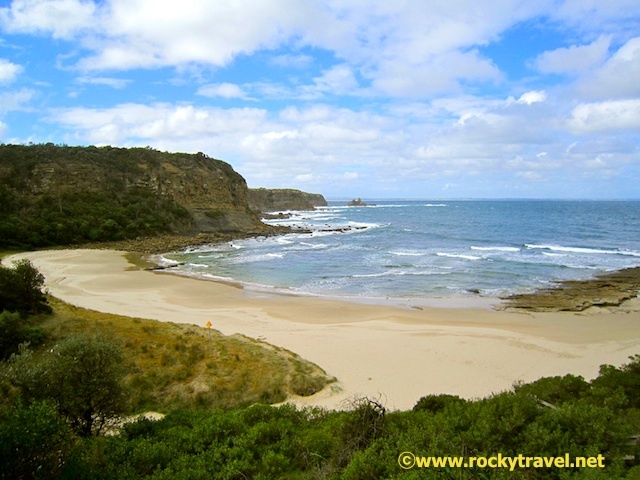 From Phillip Island take the 20km coastal drive along the Bunurong Road to Cape Peterson, to reach Yanakie, a little village overlooking the beautiful Corner Inlet Marine National Parks. Yanakie is where you stay overnight. From there, a short drive takes you to Tidal River N.P.. A national park with over 20 varied walking trails, from coastal to forest and bush walks, to wildlife and birdlife walks. The views of the ocean are absolutely stunning. I would recommend doing this road trip from October to April, to make the most of this area. 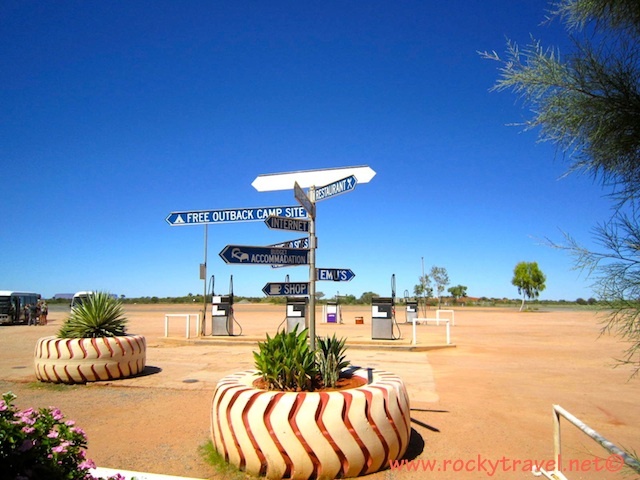 These 5 road trips are just a few short adventures to get you started with your first solo trip around Australia, but I am sure there are many more places throughout the country that will inspire you to explore further on your own. Have you been road tripping alone in Australia? Share with us your road trip adventures. 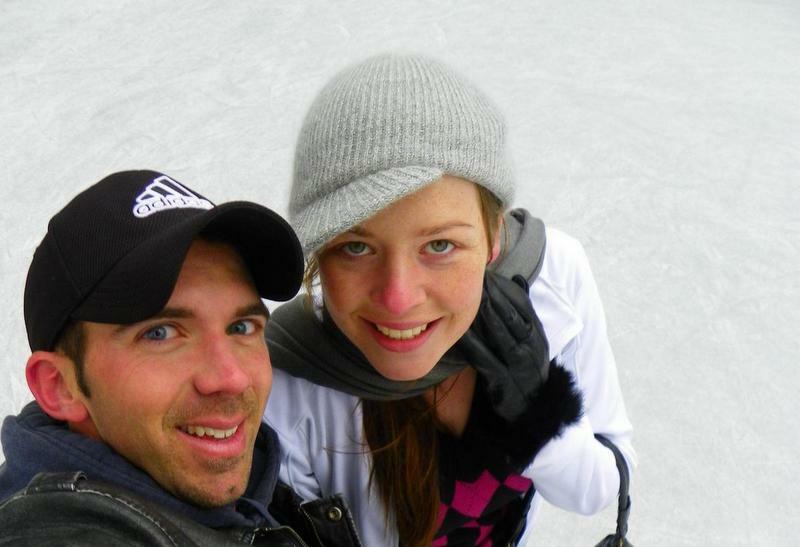 Michela is a solo traveller who has been travelling alone Australia for 10 years. You can follow Michela on her adventures on Rocky Travel Blog, as well as on Facebook and Twitter. She recently published her first eBook: Your Australia Itinerary for women travelling alone. That ocean side roadtrip sounds awesome to me. Love the sea!….and I dig wildlife watching so much too. We’re popping into Sydney for a day after our Fiji trip but it’ll be off to Bali quickly. In the future we’ll do an extended Australia trip because there’s just so much to see, to simply digest even a tiny bit of what this gorgeous country has to offer. Our travel blog buddy Lash is in love with the Gold Coast; she’s always raving about it, and even scored a house sit in a posh neighborhood recently. I also dig the range of the land, from desert like conditions, to the beach, to the city, to everything in between. Way cool Michela and Megan. Thanks Ryan! So glad you enjoyed Michela’s post – she’s an Aussie expert! So glad to hear you’ll be traveling to Sydney – just sorry it’s not for too long! Hopefully though it’ll give you a good enough taste to want to come back and hit the road! The Gold Coast is definitely a stellar spot – would love to move there myself one day. We’ll see! We aren’t solo travelers, but are always up for a good road trip. Starting to have our eye on Australia too. 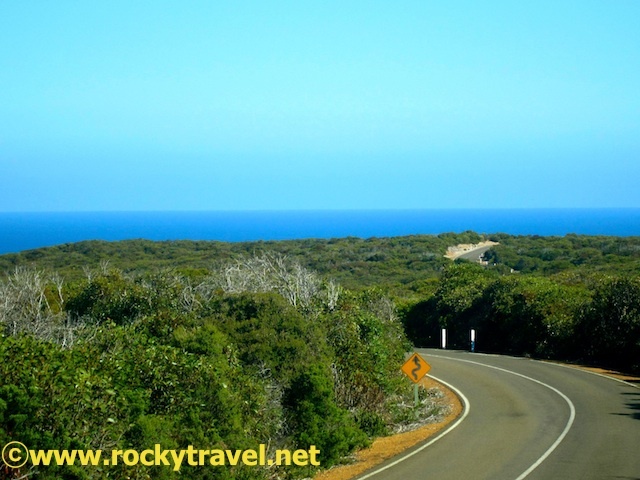 Definitely keep your eye on Australia – its a great spot for a road trip, especially with kids in tow! I have done the trip to Margaret River many times from here in Perth, can totally recommend it. Thanks, great read. So glad you enjoyed it – one of our favorite areas! 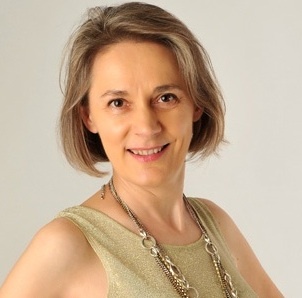 So glad you enjoyed the article – Michela is great! Thank you Megan for publishing my article. Honoured to have contributed. Thanks for providing such a great post! These all sound like great road trips! It’s a great way to check out nature and get off the beaten path. Thanks for sharing these! Thanks Mary! So glad you enjoyed this guest post. Truly is a great way to check out nature off the beaten path! Hi Megan, Great list of road trip for who is planning to solo travelling in Austria. Kangaroo Island and Great Ocean Road both are best place. Australia is a great country with plenty of outdoor stuff, loved your post of traveling solo on the road in Australia. Glad you liked my post! Have you been travelling alone in Australia yet? I haven’t traveled there yet Michela, will surely love to do pretty soon. I’ll check your post about staying with locals & making friends in Perth. Check out the work/travel Visa for under 30’s – it’s a brilliant way to explore the country for an extended period of time :) Happy travels! great blog post. My fave road trips are here. I especially liked that you put Wilsons Prom in there because most people don’t even know about it! Another one I would love to mention is Atherton tablelands around Cairns and down to Townsville. That was just short but still nice and full of beaches and rainforests. Some epic road trips in there! there’s just too many to choose from hey? !